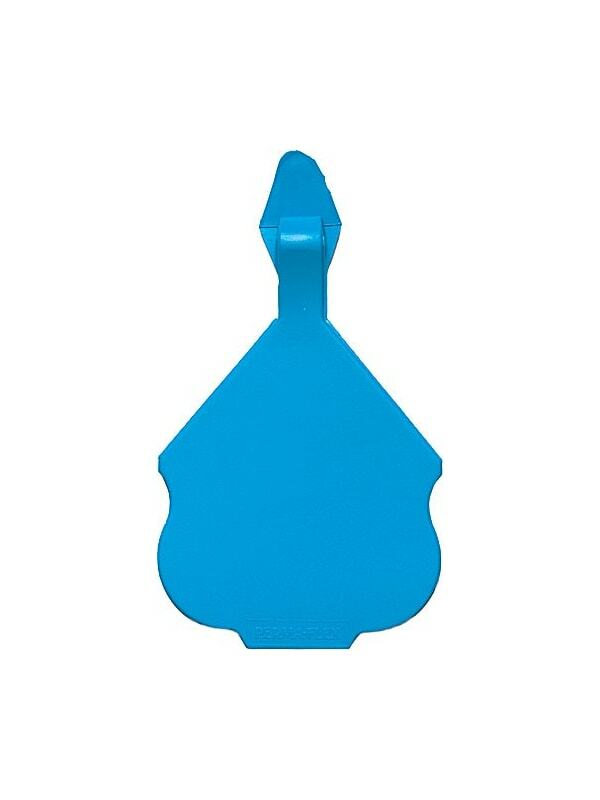 The one-piece feedlot tag applies with the knife applicator and the special tab affixes behind the ear. Feedlot tags are a great alternative when long tag live is not an issue (12 months or less). 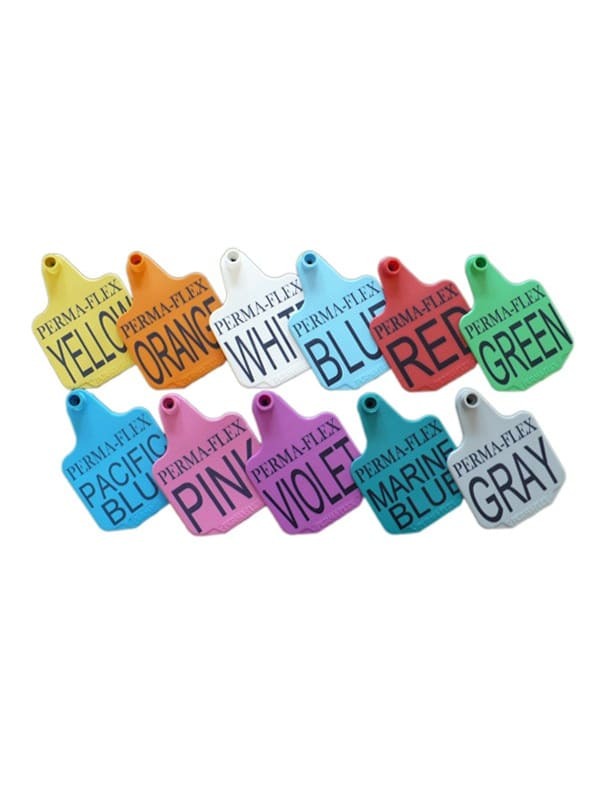 The one-piece feedlot tag comes in all eleven colors for great color coding abilities and has plenty of space to add numbers or other important information. Perma-Flex feedlot tags are made from the same durable polyurethane as our regular tags, but don't have the same additives that give them long live. This is an economical and efficient tag to use when a one year or less live span is appropriate. This style feedlot tags offers one-piece application using a special knife applicator. 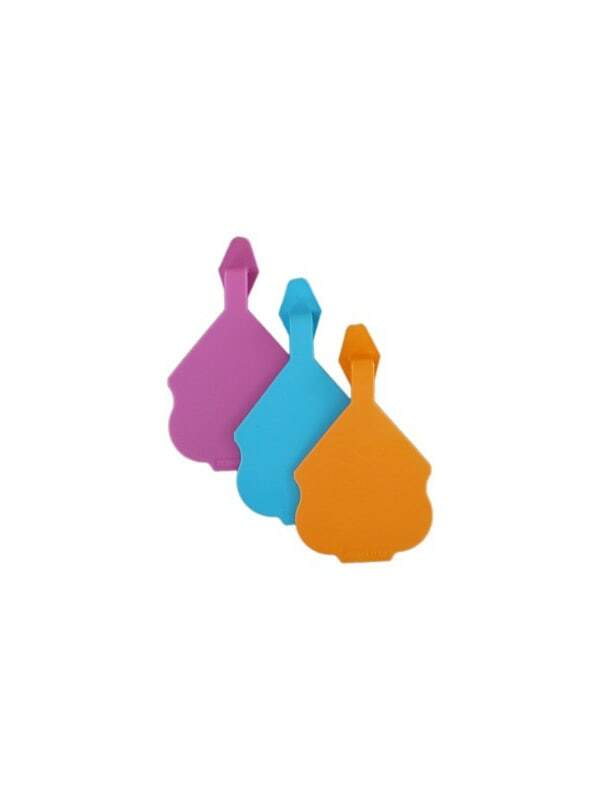 The tag attaches to the blade of the knife, is inserted and the special tab affixes behind the ear.